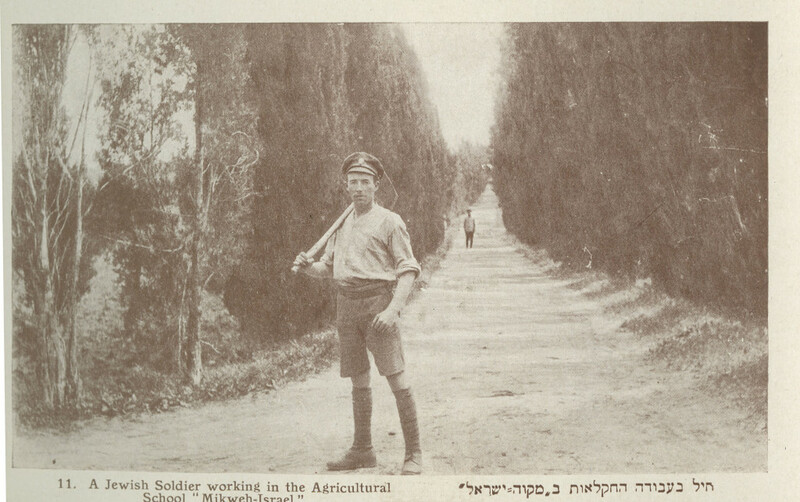 The Loose Postcards series of the Rosenthall Collection is comprised largely of scenes from Mandatory Palestine and the State of Israel. 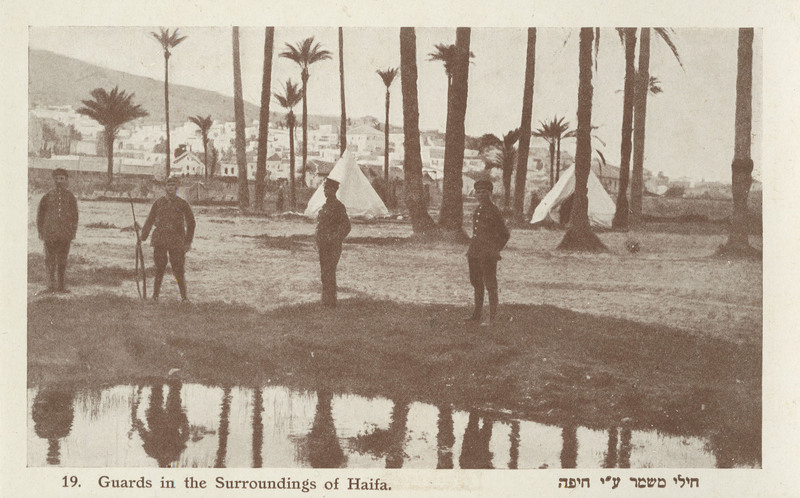 The major focus of these postcards is geography and landmarks–street scenes from cities such as Jerusalem, Haifa, and Tel Aviv, landmarks such as gates of the Old City of Jerusalem, or natural landmarks such as the Dead Sea. 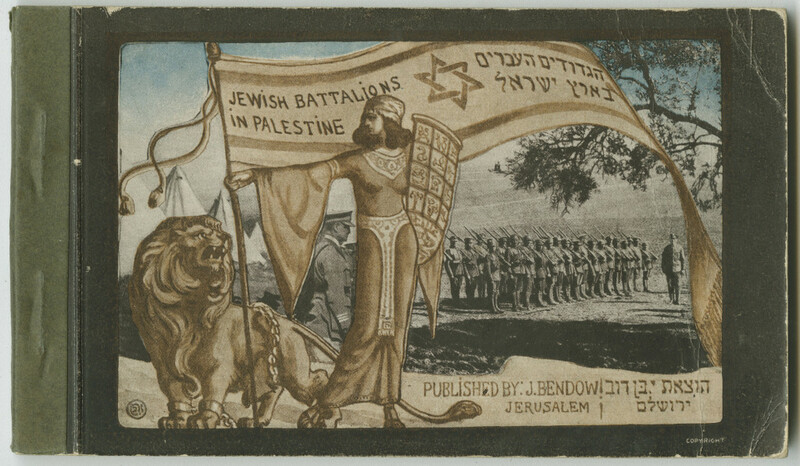 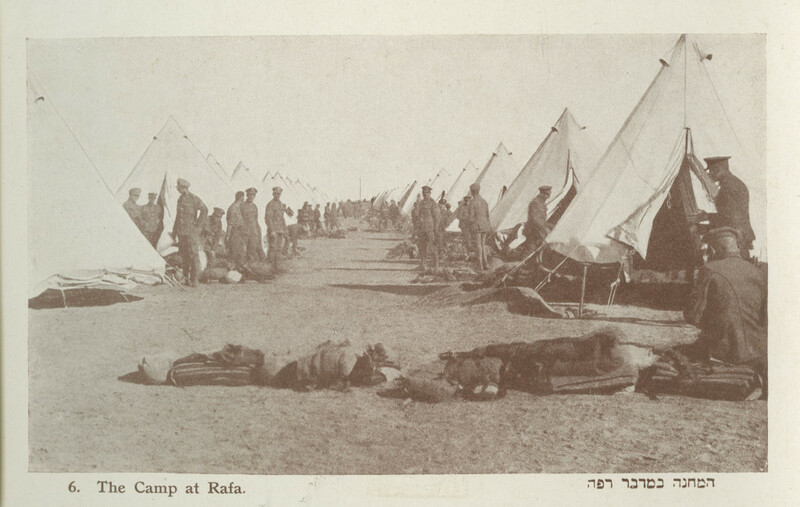 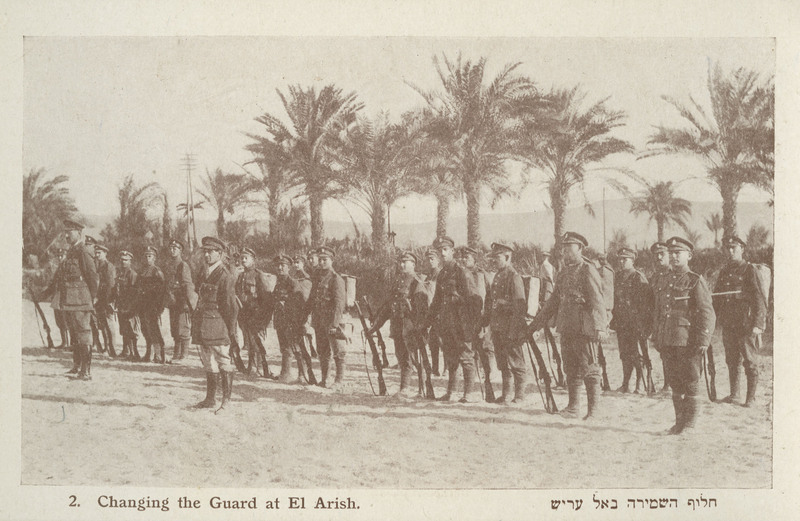 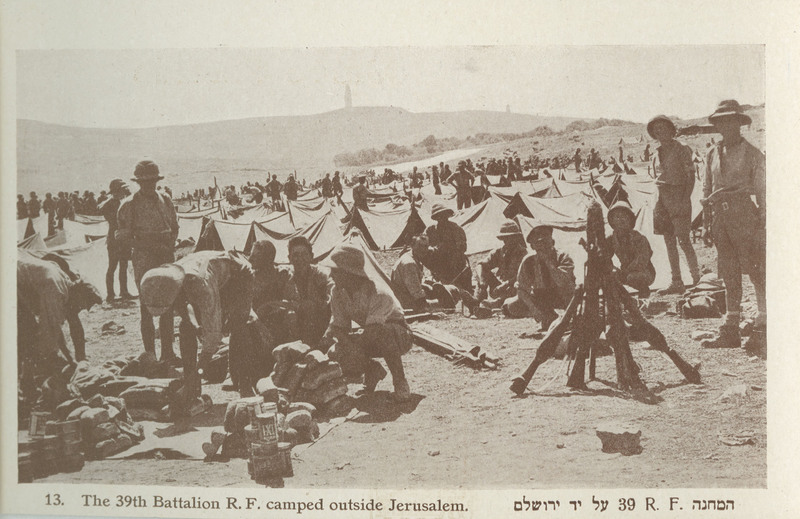 The exception is this bound booklet of 20 postcards entitled Jewish Battalions in Palestine (הגדודים העברים בארץ ישראל). 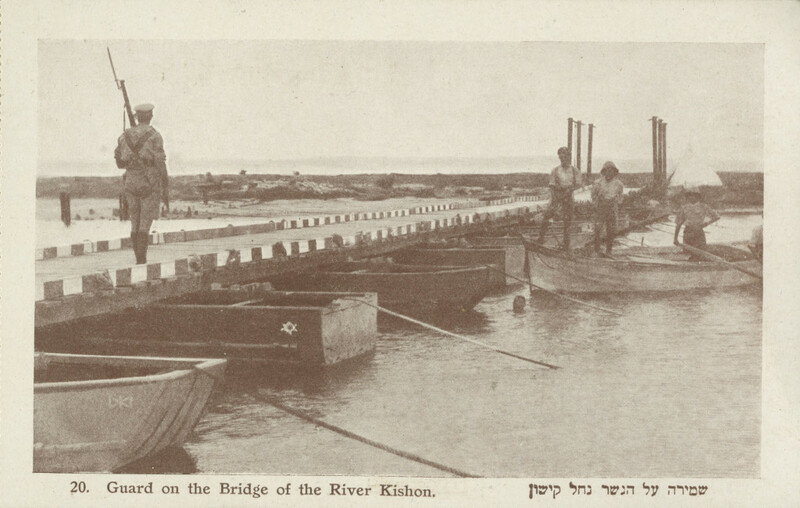 The postcards feature black-and-white photographs by photographer and cinematographer Yaacov Ben-Dov (1882-1968) and a cover designed by artist Ze’ev Raban (1890-1970). 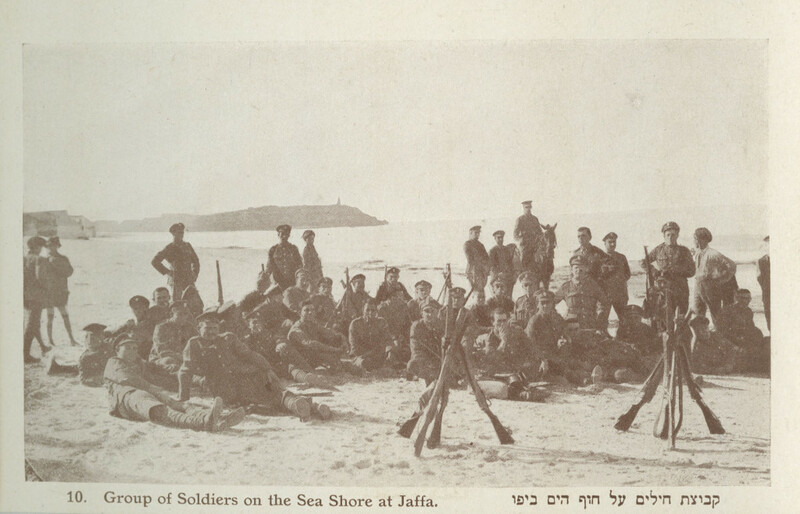 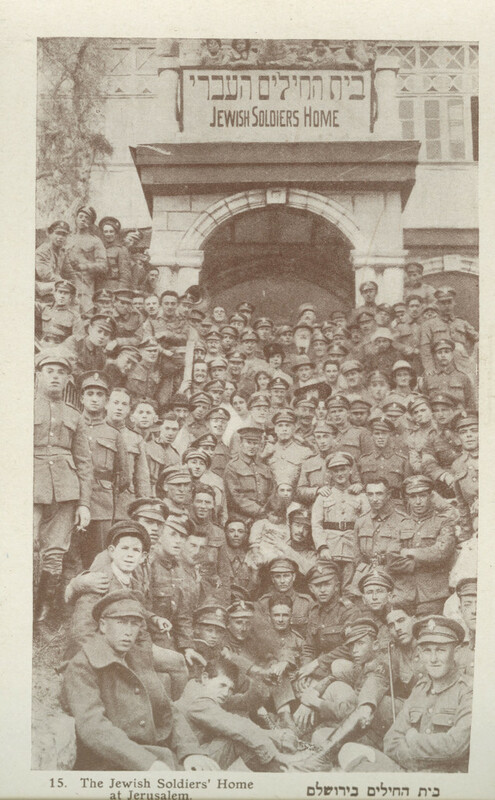 The subject of the photographs is the Jewish Legion, a military formation of Jewish volunteers that fought with the British Army during World War I, particularly the 38th, 39th, and 40th Battalions of the Royal Fusiliers. 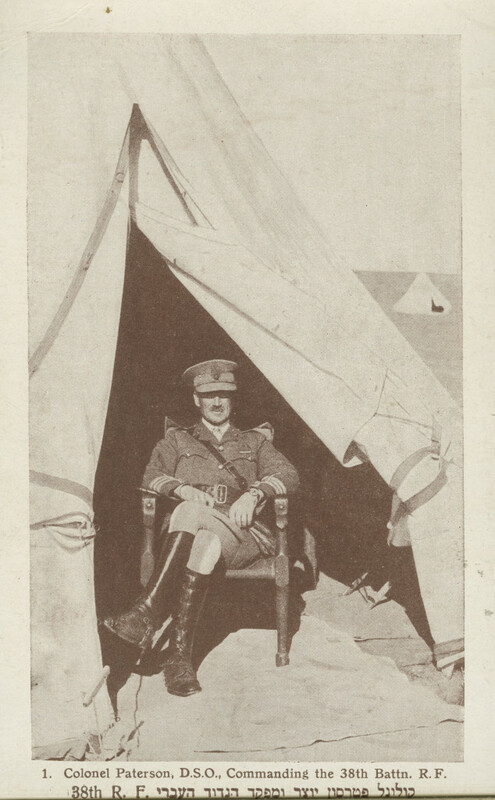 Colonel Paterson, D.S.O., Commanding the 38th Battn. R.F. 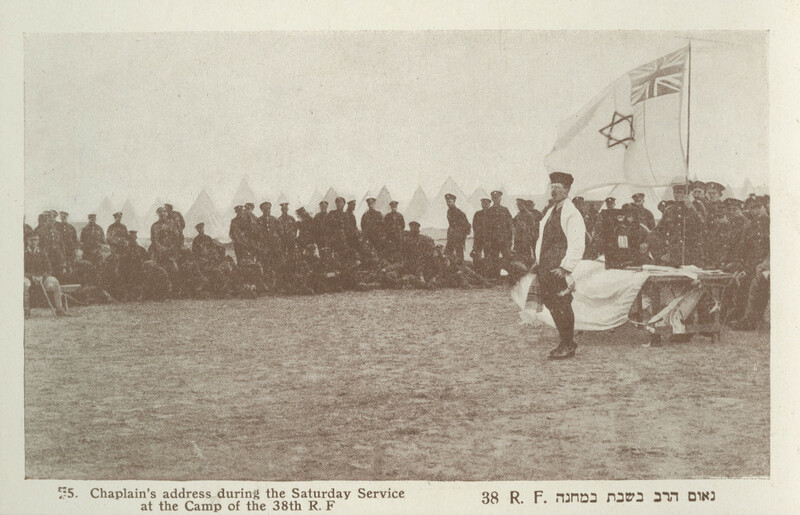 Chaplain’s address during the Saturday Service at the Camp of the 38th R.F. 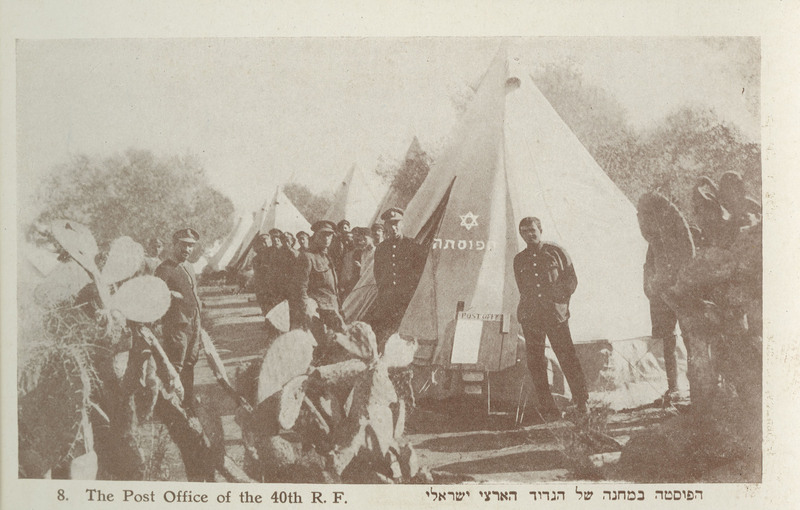 The Post Office of the 40th R.F.